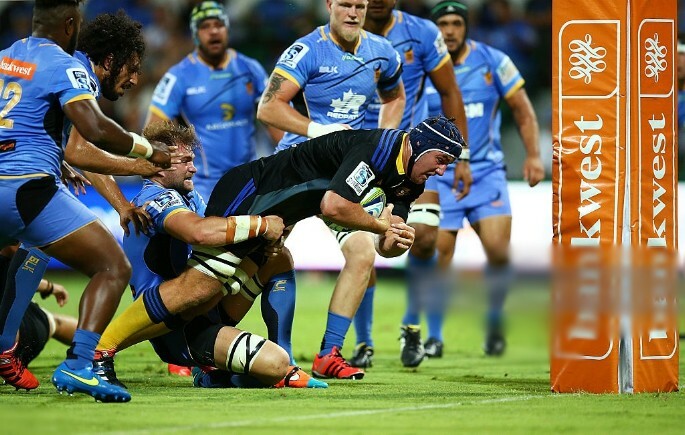 The Hurricanes recorded their third successive win in 2015 when they beat the Force 42-13 in Perth on Friday. The result sees the Hurricanes moving to the top of the Super Rugby Standings . They are now in a commanding position, having scored two wins on their recent tour to South Africa, and another away win in Perth. The performance against the Force was a convincing one. The Hurricanes were dangerous from broken play, but also enjoyed some success when they carried the ball through the phases. Beauden Barrett controlled play beautifully from the first five position, and converted five of his six attempts on goal. The forwards played their part in the victory, and the backs made their chances count. Cory Jane finished to score the first try of the game, while Julian Savea scored the visitors’ fourth. The Force were uncharacteristically poor on defence. They did not dominate the collisions, and missed one on one tackles. Savea bumped off two such attempts in the lead-up to his try. The hosts will also lament their poor tactics and decision making. While they tried to play expansively, they only played into the hands of the Hurricanes. They also turned down several shots on goal, preferring to set the lineout drive. They were denied on each occasion by a well organised Hurricanes defence. The Force scored a late try through replacement Mitchell Scott. But this was hardly a consolation, as they handed the Hurricanes another opportunity at the death. After controlling the ball through the phases, the visitors scored through fullback James Marshall.